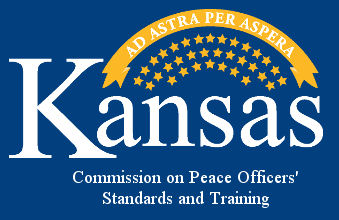 The Kansas Commission on Peace Officers' Standards and Training (KS·CPOST) is committed to providing the citizens of Kansas with qualified, trained, ethical, competent, and professional peace officers. It is also dedicated to adopting and enforcing professional standards for certification of peace officers to promote public safety and preserve public trust and confidence. We are pleased to announce that a new Online Data Entry training course is now available through KLETC's online in-service training program. You may access the training by clicking here. Kansas law enforcement agency heads, please read this notice issued by KSCPOST Executive Director Gary Steed regarding the new National Certification Program (NCP) offered by the International Association of Directors or Law Enforcement Standards and Training (IADLEST). 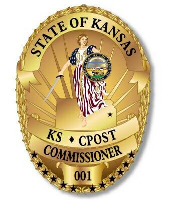 The Kansas Commission on Peace Officers' Standards and Training (KS·CPOST) is a 12-member body appointed by the Governor that oversees law enforcement training in the State of Kansas. Among its many duties and responsibilities is that of approving the basic core training curriculum for all Kansas law enforcement and police officers and granting certification to all Kansas full and part-time officers who meet the prerequisites for certification. The Commission may suspend, revoke, or deny the certification of a police or law enforcement officer who fails to meet the requirements of the Kansas Law Enforcement Training Act or has met such requirements by falsifying documents or failing to disclose information required for certification. Additionally, the Commission may publicly or privately censure, reprimand, or place on probation a police or law enforcement officer or an applicant for certification for violations of the Training Act and may also suspend, revoke, or deny, the certification of any such officer or applicant. The Commission has an investigative process to follow-up on reports of alleged Training Act violations. Procedures are in place to actively make inquiries into reports of officers failing to meet the requirements of the Training Act and to investigate allegations of falsifying documents to meet the requirements. Investigations are also conducted in matters relating to law enforcement officer standards.